Hang a large copy on your classroom wall, or give students their own smaller versions to paste in their journals or planners. Evo Social & Emotional gives you a simple way to quickly screen students to understand their SEL strengths and areas for improvement. Try Evo Social & Emotional today! 60 Day Free Trial. 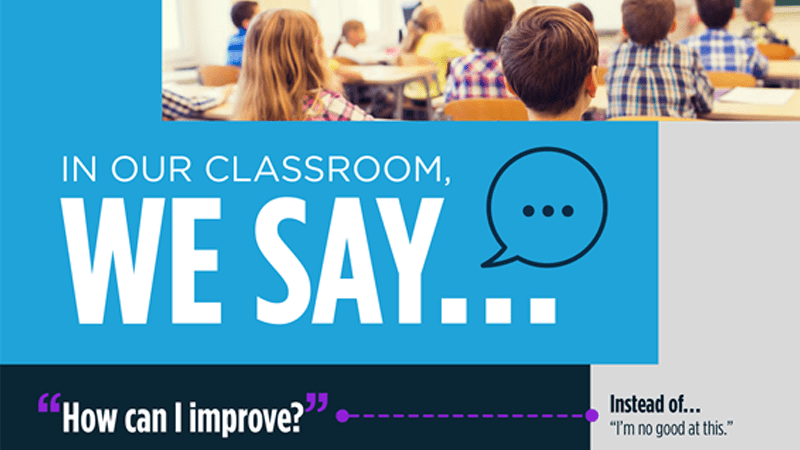 This year, help students learn the importance of growth mindset and taking risks by establishing your expectations for how students talk about themselves and their work. 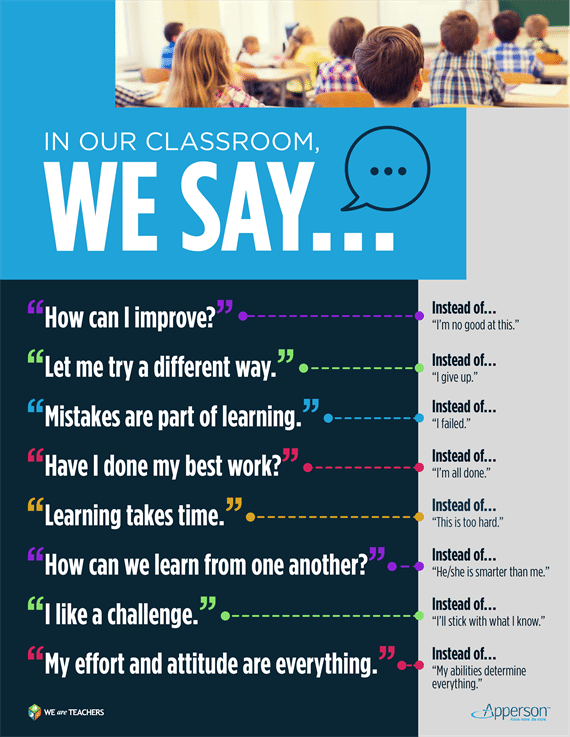 Our classroom poster shares 8 positive phrases students can use to foster their resilience and overcome failure. Hang a large copy on your classroom wall, or give students their own smaller versions to paste in their journals or planners.